The eclipse is expected to occur between 7.15 a.m. and 10.03 a.m, with slight variations in actual timing across the country. In Lagos, the first contact will occur at about 7.15 a.m, while the maximum eclipse will occur around 8.30 a.m. and will end by 10.03 a.m. 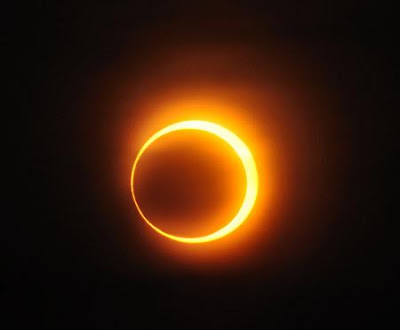 The eclipse is expected to commence in Abuja around 7.17 a.m, with maximum eclipse to be recorded at about 8.32 a.m. and the eclipse will end around 10.00 a.m. The statement warns that the eclipse is not a spiritual issue but a natural occurrence that can be accurately predicted by science. It warned that nobody should observe eclipse with naked eyes as such act can lead to permanent damage to the eyes. The Space agency appealed to the general public not to panic or attach any mystical interpretations to this event.